Disney is continuing on with the live-action remakes. 28 Weeks Later director Juan Carlos Fresnadillo will helm The Sword in the Stone, this time with human actors. The script was penned by Game of Thrones writer Bryan Cogman, and The Jungle Book's Brigham Taylor will also serve as a producer on Disney's latest take on the Arthurian legend. The movie has the potential to be one of the biggest live-action remakes, especially with the talent involved behind-the-scenes. There is no current release date set, but news is expected to drop soon. The Hollywood Reporter announced that Juan Carlos Fresnadillo is in negotiations to helm The Sword in the Stone, Disney's live-action reimagining of the studio's 1963 animated fantasy. The movie was the last that the studio put out before the death of Walt Disney. Fresnadillo started in Hollywood with his production company in the late 1980s that made short films as well as commercials. In 1996, he made his directorial debut with the black-and-white short film Esposados, for which he was also the executive producer. The short film won 40 national and international awards. It was also nominated for an Academy Award for Best Short Film in the same year, making Fresnadillo an overnight star in Spain. 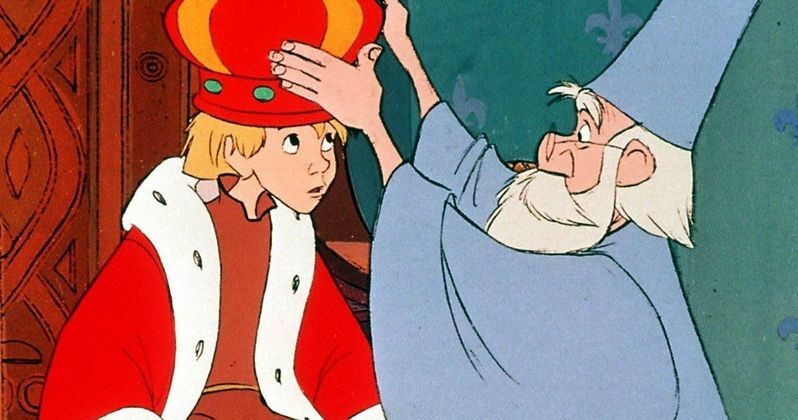 The Sword in the Stone animated movie was loosely based off of T.H. White's book of the same name and chronicled the adventures of a young Arthur as he was being mentored by the magician named Merlin. Disney is also developing an adaptation of The Merlin Saga based on the series of novels by T.A. Barron, which tell the origin story of young Merlin before he becomes the mentor of King Arthur. Ridley Scott is rumored to be in talks to helm that particular project. Disney's 1963 movie added in lighthearted humor as well as music. It is unclear if the live-action remake will follow the structure as the animated classic. The hiring of Juan Carlos Fresnadillo certainly leads to thoughts that The Sword in the Stone could end up as a darker project, which also falls in line with having Game of Thrones episode writer Bryan Cogman on board. A darker take on the movie along with taking out the music could be a huge hit for Disney, which it is more than likely betting on. Hopefully Fresnadillo will be left with the creative freedom to put out the movie that he envisions. The Sword in the Stone live-action remake was first announced back in 2015 when it was also revealed that Bryan Cogman was penning the script. Details have been scarce since then, but finally, 3 years later, there is some forward momentum with the production. Casting will likely take place next with a release date to follow. While we wait for more information about the live-action remake of The Sword in the Stone, you can read more about Juan Carlos Fresnadillo and Disney's negotiations over at The Hollywood Reporter.